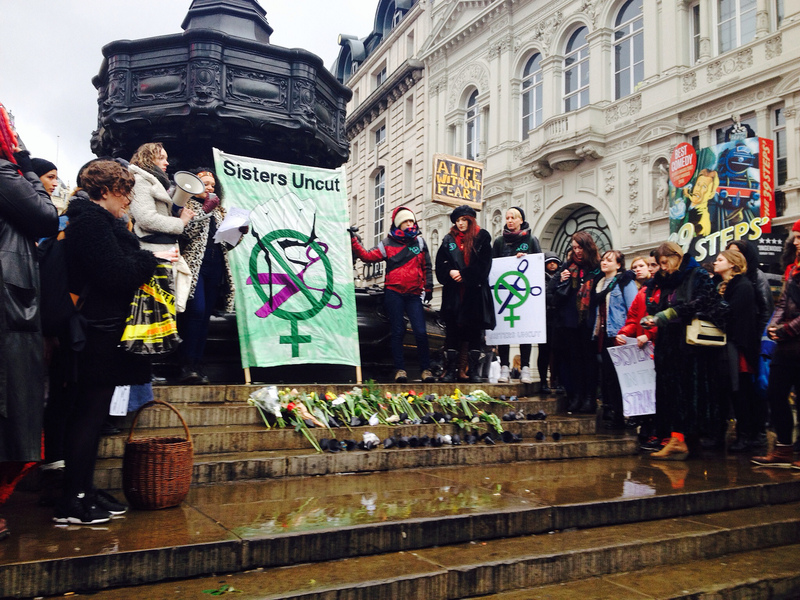 Two Sisters of Frida joined the Sisters Uncut Valentine Day’s Revolt direct action in London on Saturday which started from Green Park Station. We are Sisters Uncut. We stand united with all self-defining women who live under the threat of domestic violence, and those who experience violence in their daily lives. 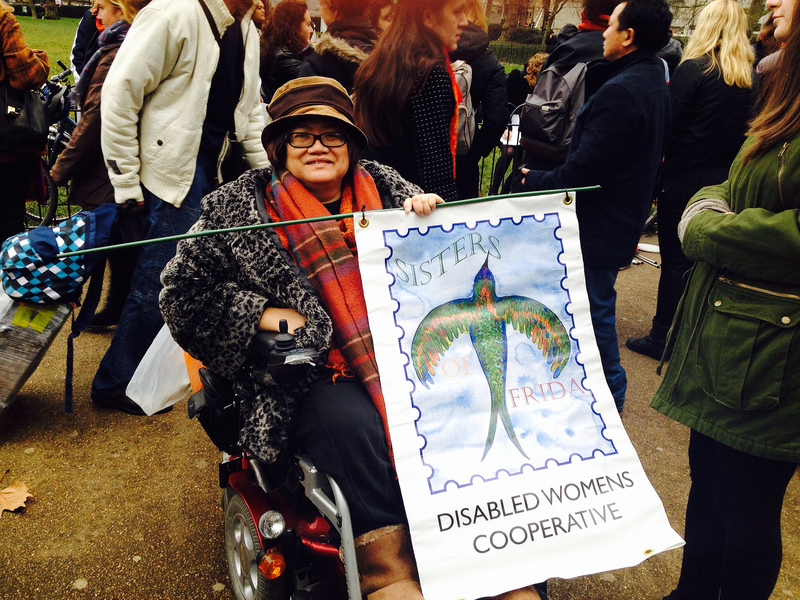 We stand against the life-threatening cuts to domestic violence services.We stand against austerity. In the UK, two women a week on average are killed at the hands of a partner or ex-partner. The cuts make it harder for women to leave dangerous relationships and live safely. Safety is not a privilege. Access to justice cannot become a luxury. Austerity cuts are ideological but cuts to domestic violence services are fatal. Every woman’s experience is specific to her; as intersectional feminists we understand that a woman’s individual experience of violence is affected by race, class, disability, sexuality and immigration status. Doors are being slammed on women fleeing violence. Refuges are being shut down, legal aid has been cut, social housing is scarce and private rents are extortionate. What’s more, local councils are selling out contracts to services who are running them on a shoestring – putting the safety of survivors at risk and deteriorating the working conditions for those who work with abused women. To those in power, our message is this: your cuts are sexist, your cuts are dangerous, and you think that you can get away with them because you have targeted the people who you perceive as powerless. We are those people, we are women, and we will not be silenced. We stand united and fight together, and together we will win. Safety should not be subject to immigration status; extend access to safe housing to women with no recourse to public funds. 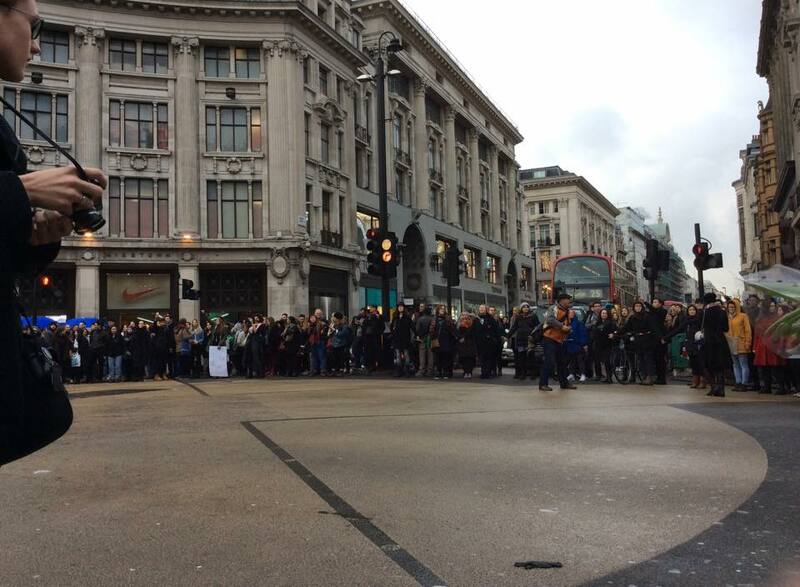 We took off from there to Oxford Circus where we formed a circle and stopped the traffic, blocking buses and taxis on a very busy junction and women were chanting and shouting for sisters who died from domestic violence. It was good to be there. We hope to be able to join them at their meetings and invite them to our events and campaigns in the future.